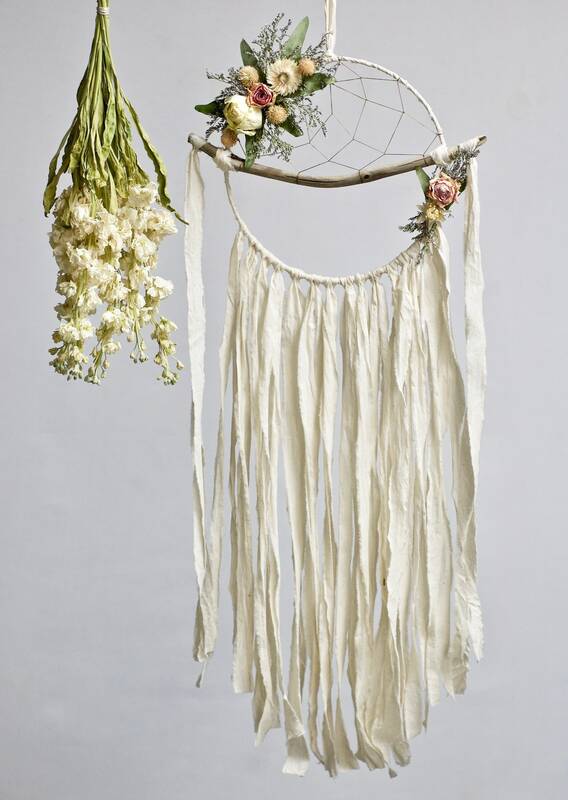 Hand torn cotton fabric strips swing from a 9" frame with dried flower adornments in shades of cream, blush pink and ivory. 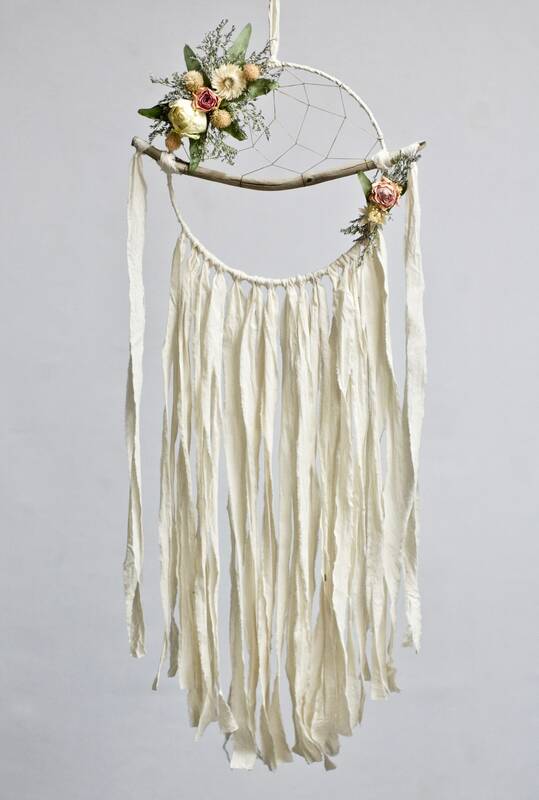 The driftwood branch is approx 12" and the total length from the top of the hanger to the bottom of the fringe is just over 30". There are so many little touches to this piece that make it unique and special! 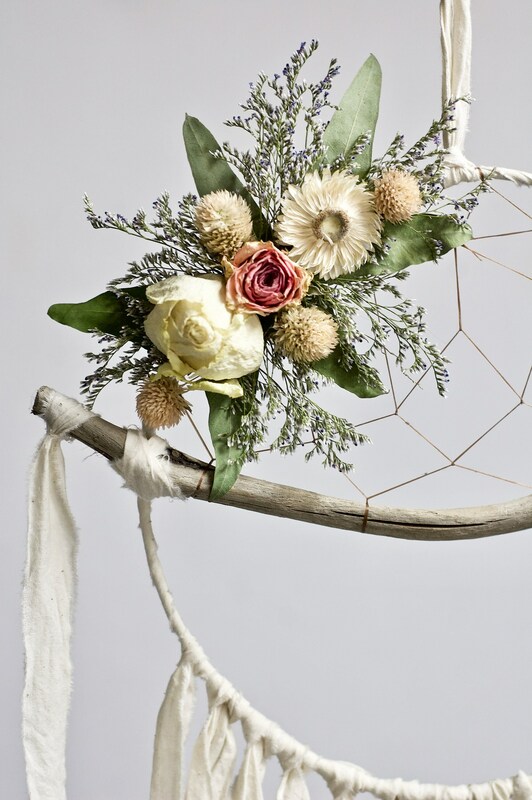 Please keep in mind that this is a made to order item- natural elements like dried flowers and driftwood may vary slightly between pieces, but are guaranteed to be equally as beautiful. 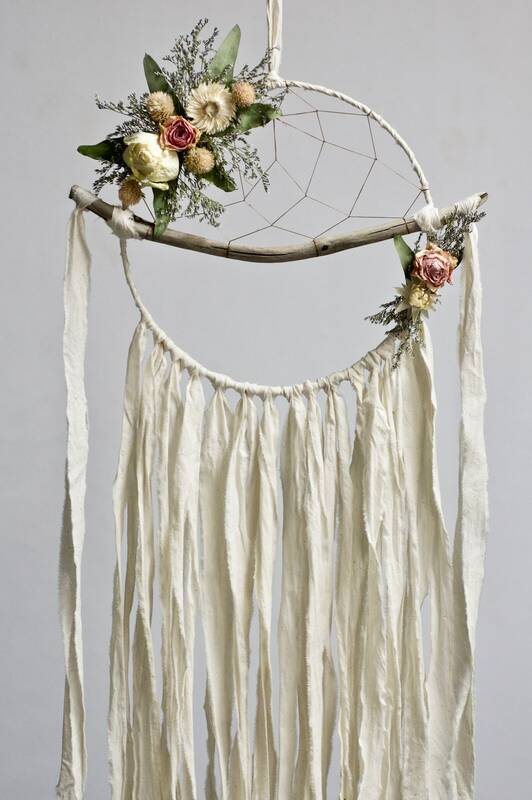 This listing is for one dreamcatcher only- photos of multiple pieces are to show the variety of floral arrangements & wood pieces. Not my first purchase, but still just as impressed! Beautiful. As always, beautiful packaging,ships on time. 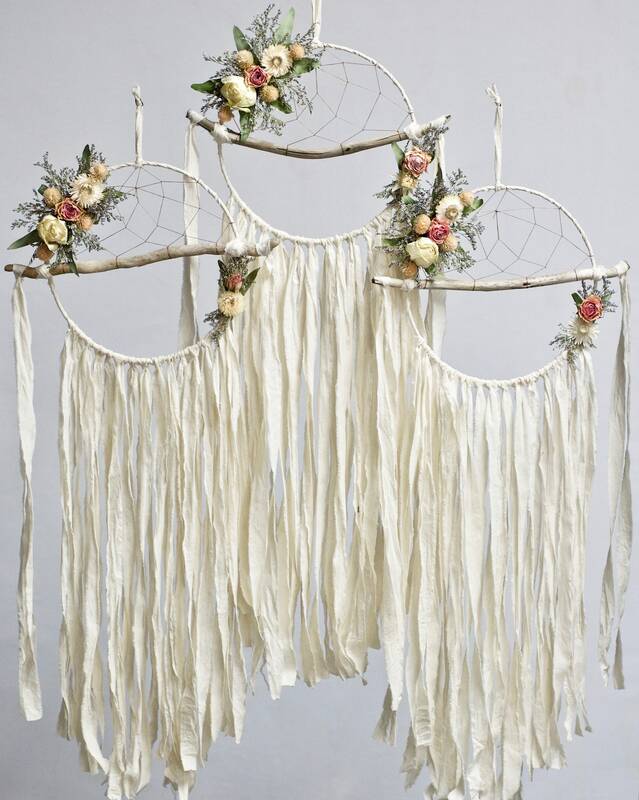 this dream catcher is a beauty! It's going to make a really cool wedding gift ! Thank's again Jacki, love it ! !